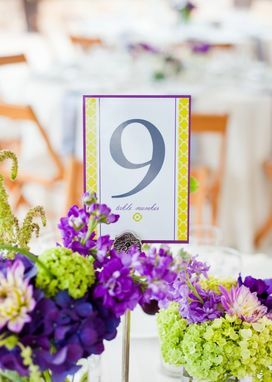 These custom table numbers are professionally printed for your reception. This listing is for one table number. - The number size is 5.25" x7.25". 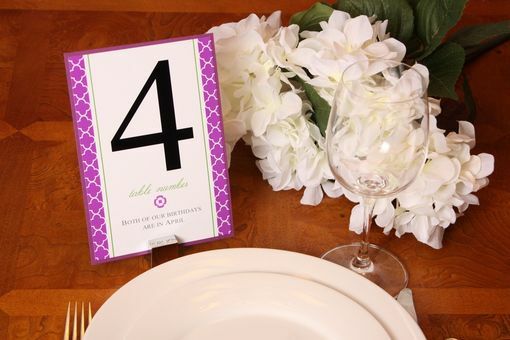 - Table numbers are double sided cards mounted on luxurious heavy 100# card stock and fit into any holder. Holders are not included. 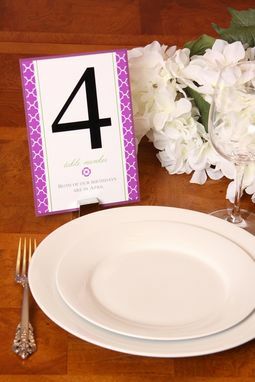 If you need tented, freestanding table numbers, please note that in the message to seller. 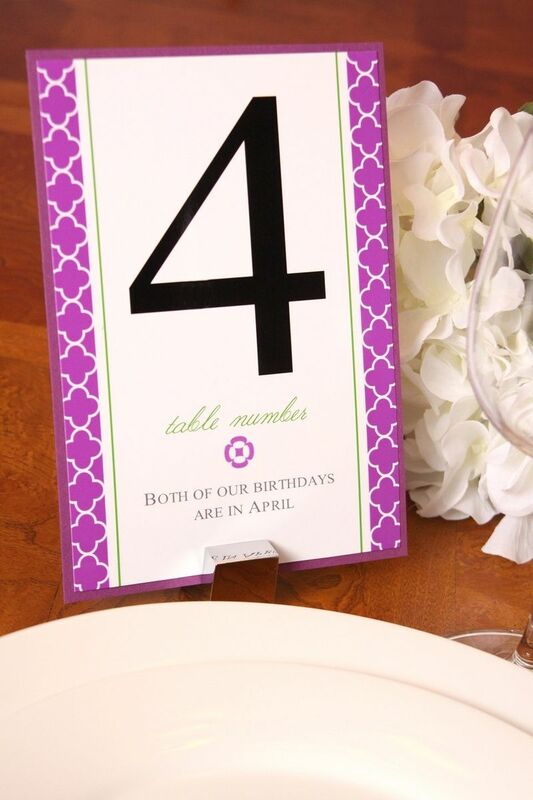 There is no additional charge for freestanding table numbers. - If you would like custom text about each number (as seen in the picture) there is no additional charge. - Each reception table number is $3.25 with a minimum order of 5. 1. Put the number of table number's you would like to order into your cart and enter the text and colors you would like in the message to seller area during checkout. 2. Or Convo me by clicking HERE with the quantity and colors, and I will set-up a custom listing. Once I receive your order, please allow at least 2 business days for your digital sample to arrive via email for your approval. Two rounds of changes offered at no extra charge. Printing takes a minimum of 6 business days (depending on production calendar) and shipping takes 3-5 business days.